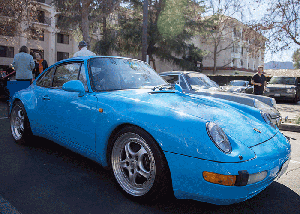 In simple terms, a Concours is a car show. The idea is to show your car in its most perfect condition (usually cleanliness and like new condition.) In general, each car starts out perfect and as the judge finds something amiss, points are deducted. The cars typically displayed by category and trophies are awarded to the highest scores. There are different levels or types of Concours. The classifications are designed to accommodate various levels of commitment (both of time and finances), car usage, age, and originality. As a beginner you can enter your daily driver and learn a great deal about the history of that model and year while making it gleam like it hasn’t since leaving the showroom. If you want to take it a little more seriously then there are categories in which the originality of the car is considered as well as every tiny nook and cranny of the undercarriage. Full Preparation — For the more serious competitors there is Full preparation. “Full” means every aspect of your car will be examined: interior, exterior, trunk, engine, and under chassis — front and rear. They’ll look at everything, from your spare tools to the jack. Nothing will go untouched. Display Only — On the other end of the spectrum is the “Display Only” category for those that simply want to participate in the car show. The cars are there just to be displayed and are not usually eligible for any trophies. 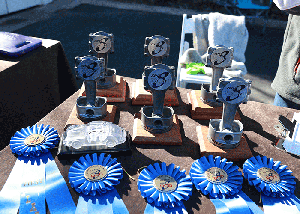 Other Concours Categories — In addition to Full and Display Only, other Concours judging categories include: Touring (Street), Preservation, Top Only or Serious, Closed, People’s Choice, and Judge’s Choice. Want more information on Concourse d’Elegance? 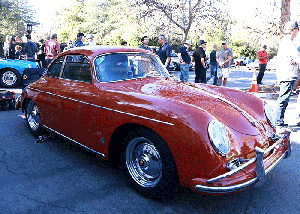 Check the PCA website at www.pca.org/concours-delegance.